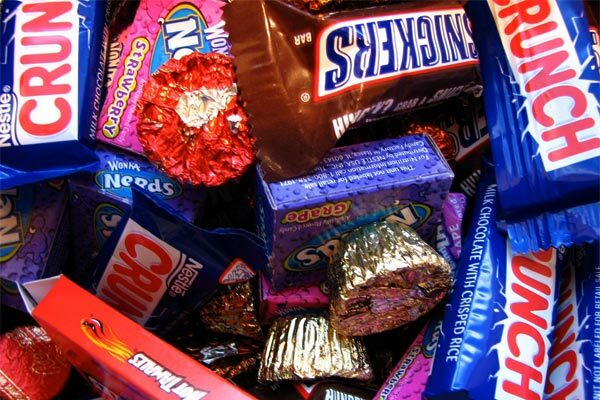 What College Major Should You Pick Based On Your Favorite Halloween Candy? PS We did some of your college research for ya: all of the majors are linked to colleges and universities that offer them! That's almost as good as trick-or-treating in a neighborhood that gives out full-sized candy bars. Oh Henry: English/Literature. Because literary references are so sweet. Red Hots: Fire Science. Because if you can handle the heat of these fiery little candies, you can handle anything. Nerds: Computer Science. Because, in today’s tech-centric society, nerds will inherit the earth! Chocolate sampler: Liberal Arts. Because you want to try a little bit of everything! Gummy worms: Entomology. Because if creepy crawlies in your mouth don’t scare you, nothing will. Tootsie Roll: Dance. Because you probably follow it up with a Twist. Ring Pop: Fashion. Because you can make anything fashionable. Milky Way: Astronomy. Because that gooey caramel and nougat takes you to another galaxy. Hershey’s chocolate: History. Because you appreciate one of the most iconic candy bars from a historic confectioner. Reese's Peanut Butter Cups: Culinary Arts. Because you know a good flavor combo when you taste it. Sour Patch Kids: Education. Because you love working with children, whether they're sour or sweet. Candy corn: Agriculture. Because you could grow the real thing on your future farm. Tootsie Pop: Sociology. Because you’re into researching human behavior—just how many licks does it take?! 100 Grand: Finance. Because even your taste in candy is rich! Bazooka bubble gum: Military Science. Because you like your candy to pack a punch. Sky Bar: Aviation. Because those four flavors help you take off. Gummy bears: Veterinary Medicine. Because you know you eat them one little leg at a time, and, umm… that’s the kind of attention to detail your veterinary practice will benefit from? Did we miss your favorite Halloween candy and/or preferred college major? Let us know in the comments or on Twitter! Quiz: What Elective Should You Take Next Semester?